This week’s instalment of Animal Travels is going to explore the amazing wildlife of Alaska. Alaska is an amazing place to visit if wildlife is your passion and in this instalment we’re going to explore the best places to visit if you want to see the species of Alaska in their natural habitats! 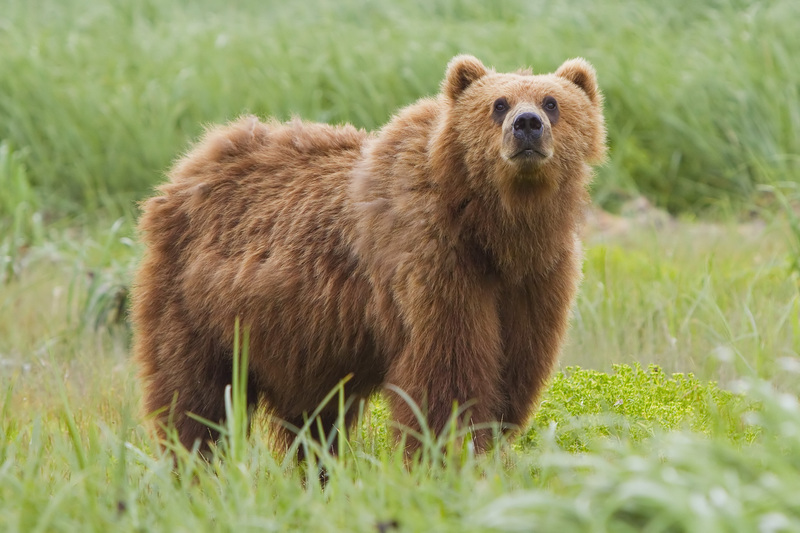 Alaska is definitely home to more than a few bears and if you want to view them in the wild the best places to visit are either the Alaska Wildlife Conservation Centre or Fish Creek which has road accessible bear viewing. If you want to head to the Alaska Wildlife Conservation Centre you’ll be able to see bears (Brown and Black) year round although it will cost you around $15 for entry. Fish Creek however, costs $5 for a day pass but is slightly less accessible and you can only view bears between July and September when the fish are in. Alaska is also famous for its Salmon and there are a few places you can go if you want to see them. Perhaps the best place to see them is of course in the same place as the bears, so again head to Fish Creek and you’ll get to see both the Salmon and the bears of Alaska in one go! Although Canada is more famous for Moose, Alaska is also home to this species. If you want to see the Moose in the wild in Alaska the best places to head are either to Anchorage Coastal Wildlife Refuge, Moose Pond or Earthquake Park. If whales are more your thing then Alaska also has some great spots for whale watching. You can head to the Kenai River Viewing Platform which is a popular spot for viewing Belugas, Lowell Point Road which is known for having Humpbacks; or to Barwell Island where you can hop on a boat and head out into the ocean to see Humpbacks are Orcas. And the final species for this instalment of Animal Travels is the Walrus. If you head to Round Island in Alaska between May and August then you’ll get to witness giant herds of walruses as they nest in their tens of thousands throughout the summer. You’ll also get to see several species of seabirds such as puffins as they also call Round Island their home. However, if you are visiting Alaska later in the year and still want to see these Walruses then you can head to Cape Peirce where the Walrus can be seen between August and November as they head North for the winter pack ice. Great post. I was able to see some brown bears while on an Alaskan cruise several years ago. There was a mother and her 3 cubs all in a river catching the last of the salmon. To be able to see them so close across the river was one of the highlights of the trip. Wow! That sounds like such an amazing trip! I hope I’ll be as lucky on my wildlife viewings in the future. Thanks for commenting and supporting this blog.